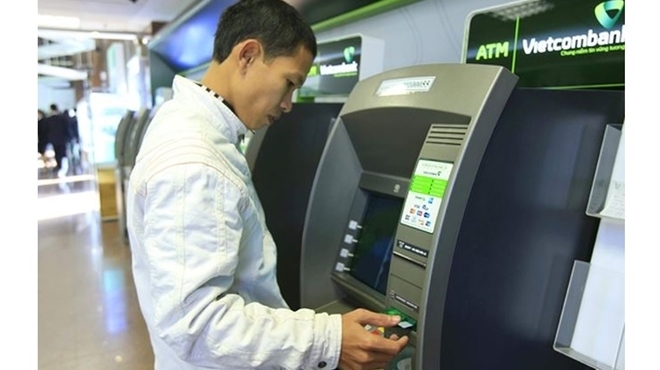 Commercial banks have been told to postpone their plan to increase fees for ATM cash withdrawals, the State Bank of Vietnam (SBV) announced on July 10. Earlier, a series of large banks in Vietnam had announced increases in their ATM fees. Accordingly, from July 15, intra-network ATM fees by Vietcombank, VietinBank, Agribank and BIDV were scheduled to be increased from VND1,100 to VND1,650. This is the second time that the central bank has called on the commercial banks to postpone the service fee hike. The first order was given two months ago. They had to delay their plan in May after the central bank asked them to do so as the public expressed disagreement over the intended fee hike for the services at many banks. According to the SBV, the commercial banks have to collect and process data and announce them in order to prove the necessity of the fee hike. The SBV also regulates a fee framework for ATM cash withdrawals which allows commercial banks to collect the maximum of 3,000 VND, excluding VAT, for each transaction but the three banks have kept their fees at 1,000 VND, excluding VAT, or 1,100 VND when VAT is included.